In 2004, Izzat Majeed founded Sachal Studios to create a space for traditional music in a nation that had rejected its musical roots. After convincing a number of master musicians to pick up their instruments again, they quietly released some classical and folk albums. But it is an experimental album fusing jazz and South Asian instruments that brings Sachal Studios worldwide acclaim. Their rendition of Dave Brubeck's Take Five becomes a sensation, and Wynton Marsalis invites them to New York to perform with the Jazz at Lincoln Center Orchestra. After a groundbreaking week of rehearsals fusing the orchestras from Lahore and New York, the musicians take to the stage for a remarkable concert. 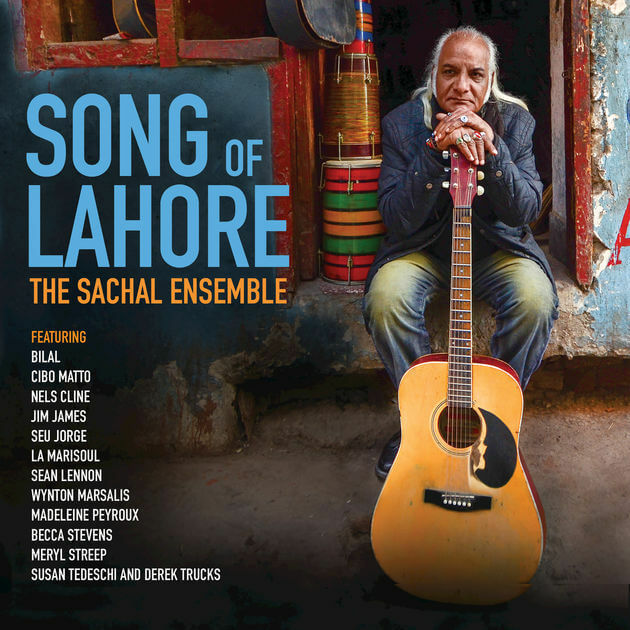 The documentary follows Sachal Studios musicians from their hometown in Pakistan to New York City as they rehearse and take the stage for a truly moving concert performance with the Jazz at Lincoln Center Orchestra, after receiving a personal invitation to perform from Wynton Marsalis. Hear Madeleine's contribution on "Sometimes I Feel Like A Motherless Child / Ma Ni"